Nanuet teacher Vinny Garrison not only is the tech teacher we all wish we had-he literally encourages messes to have students reach the height of their creativity!-but he is a friend of many charities including the Penguin Plunge. Vinny has also run St. Baldrick's Day in Rockland County for many years where he raises money for children with cancer. Vinny however is the owner and founder of Flying Films. By using a drone, Vinny captures amazing images and videos that really give a birds' eye view of events and scenery. 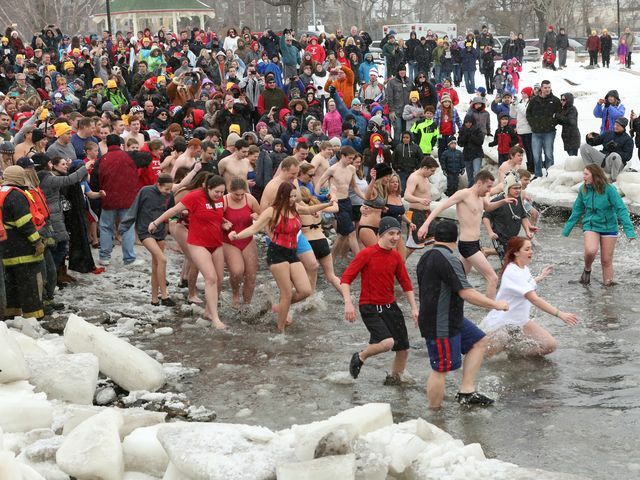 One of our most challenging Penguin Plunge years was 2015 when the Hudson River was frozen over and the ice had to be cut and removed before the Plunge happened. Vinny captured that event in one of our most amazing videos. This video is on the front page of our website, please go look at how amazing it is! Vinny has just been profiled in the Rockland Journal News Interesting People section and we couldn't agree more! Thank you Vinny Garrison, for sharing your talent and your heart!